When it comes to playground phones, Fun Phones from Kidstuff Playsystems are ready to answer the call. 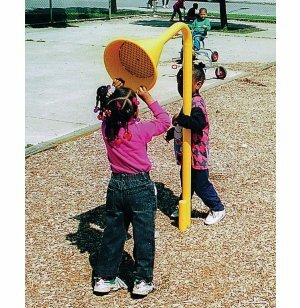 When children want to get in touch without yelling across the playground, they can simply speak into a receiver and easily be heard on the other side. 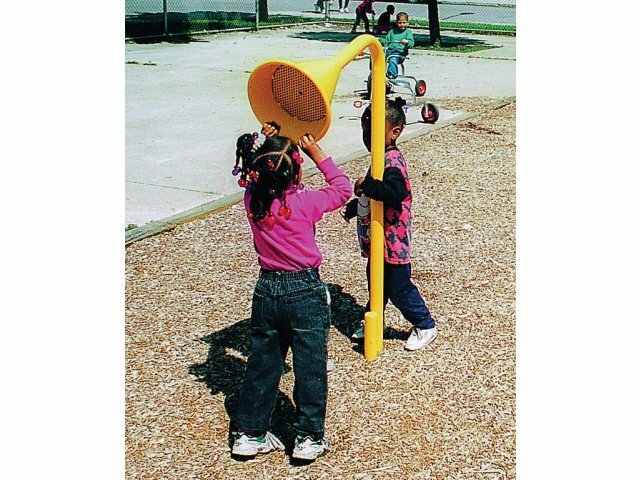 Playground phones add some variety to outdoor play, letting kids enjoy conversations with a fun twist. They are built with one-piece steel construction to withstand heavy daily use in all kinds of weather, and are brightly colored to liven up your playground. Fun Phones operate through plastic tubing installed underground. They require no electricity, and offer a modern twist on a classic favorite. This is a great choice if you are looking to add some variety to an outdoor play area in a park, school or community center. Fun Interaction: With one phone on each side of the park, friends can easily hear each other from far away. Tough Material: Built with one-piece steel construction, powder-coated after fabrication. Low Maintenance: Connected with plastic tubing installed underground, eliminating interference. Safe Choice: Meets all government safety and ADA guidelines.